13 Unforgettable Moments Diving in Indonesia – Where is Jane Now?! I recently traveled to Indonesia to scuba dive, and it was absolutely amazing! I was one of 15 divers on the Mermaid I Biodiversity Special in Spring 2018! 1. Being surrounded by a school of fusiliers. Fish in every direction, a tapestry of changing yellow and silver against a background of turquoise. 2. Diving on an active volcano in waters teeming with venomous snakes and sharks. It was actually more relaxing than it sounds as sharks are not aggressive and the snakes were curious and not inclined to bite. There was part of the reef that had a vent surrounded by sulfur which occasionally released some bubbles. All the corals in the area were more yellow than usual, likely due to the high sulfur content of the water. 3. Swimming alongside sea turtles. They move at about the same speed a diver does, so you can swim along with them! I watched one turtle happily eating breakfast one morning! 4. Waiting for the mandarin fish to spawn. Imagine, if you would, a group of about 10 SCUBA divers congregated under the One Special Palm Tree where the mandarin fish are known to mate. A cluster of overdressed voyeurs waiting patiently, armed with cameras, all with thoughts of “ok, fishies, time for you to get it on!” The fish must have thought we were crazy, and I suspect they held off on their activities until we went away, as we only saw one instance of underwater action. School of jacks. Not *that* school of jacks, because of course my pictures were all blurry because I was so excited and couldn’t spend much time down that deep. These are better, safer jacks. 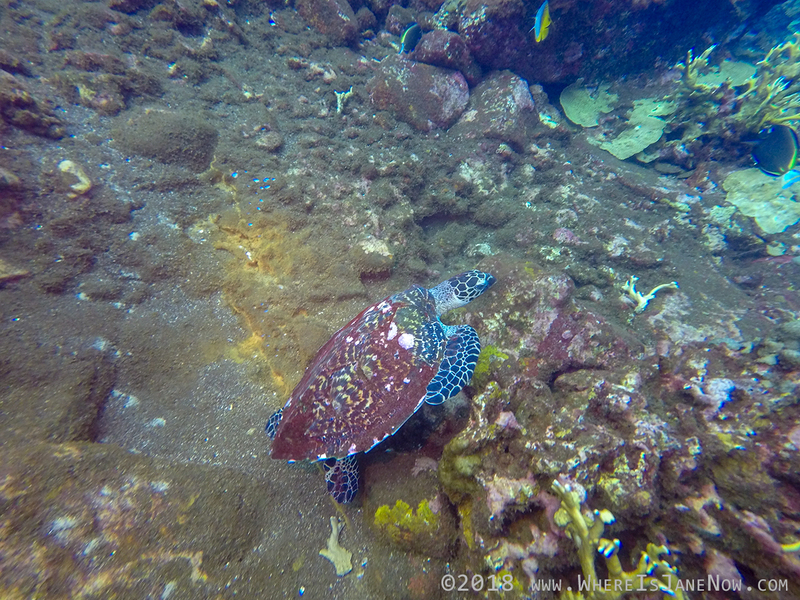 The one at 140+ feet that we saw while diving on 32% nitrox. 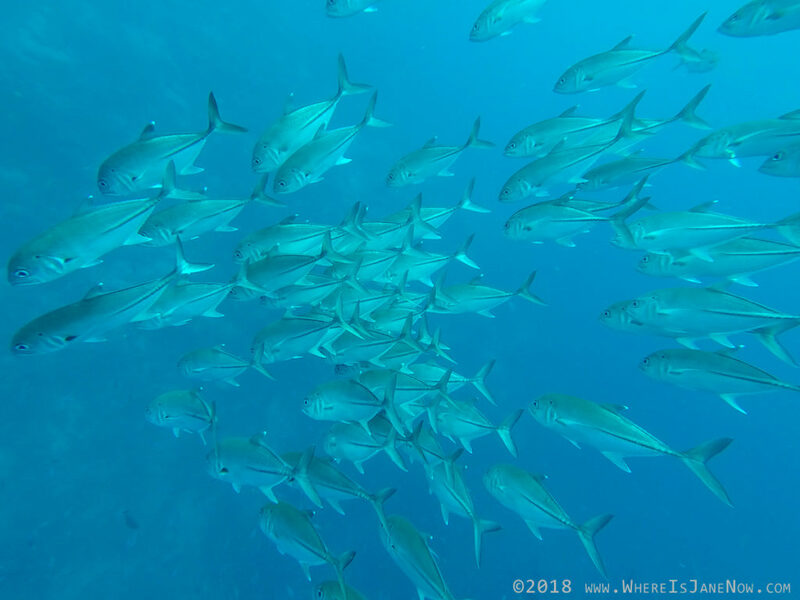 Tantalizingly out of reach, so hypnotic in their grace, how hundreds if not thousands of fish stay so close together and flow and spiral together like a silver river. 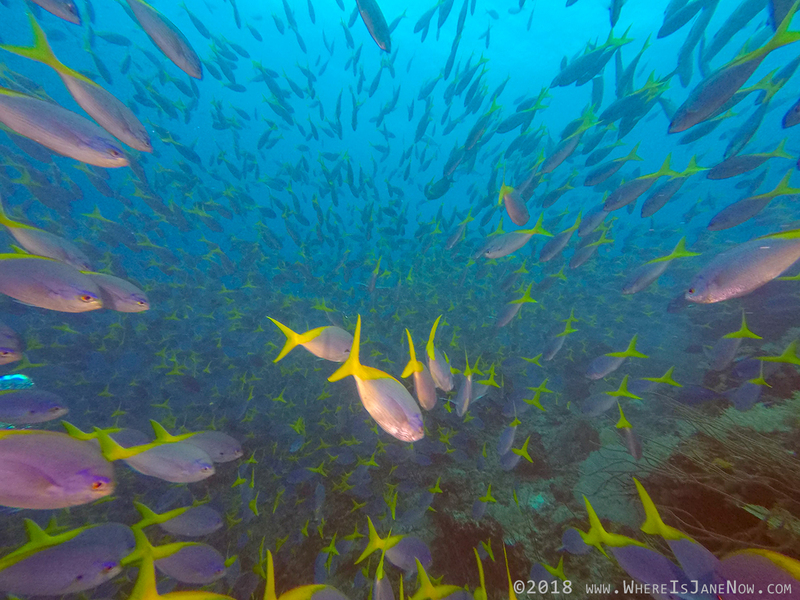 I wrote entries in my dive log book to the tune of “I could never have imagined there being so many fish in one place. There cannot possibly be a site with more fish than this.” And then a few hours later “Ok, so I lied, this site had more fish.” And then a few hours after that, even more fish. Walking sharks are usually quite shy, but we were lucky to see one who didn’t mind us watching him* swim around for a bit. Everyone else got a brief glimpse of his tail, we got to see him in all his brown spotted glory! *Actual gender of shark unknown. This was my first time doing any muck diving. The words conjured pictures of diving in extremely low visibility and all sorts of unpleasantness, but in reality the water was clear, there just wasn’t any reef to dive on, just a sandy bottom. 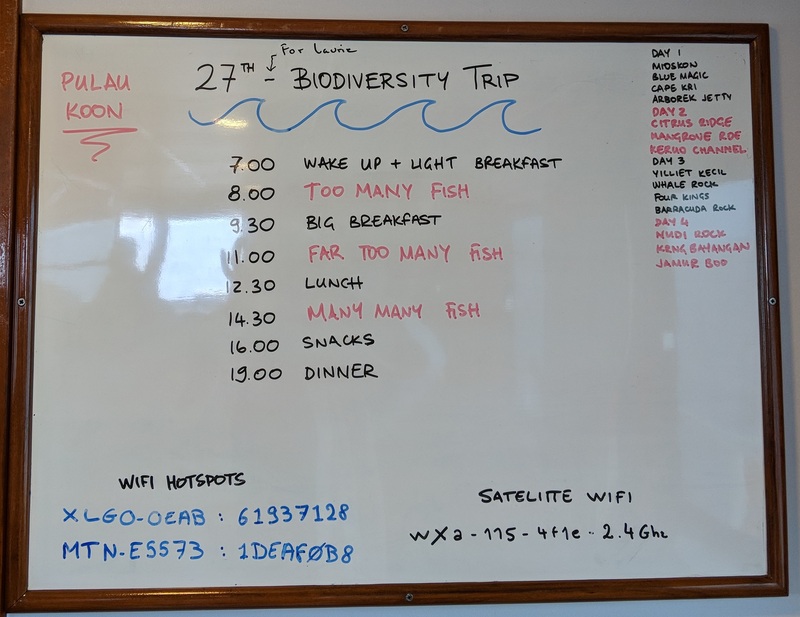 We saw all sorts of interesting critters, including Spanish Dancers, lionfish, bobtail squid, all sorts of little shrimps. It was cool to stop and appreciate the details and tiny life that is everywhere under the water. Neither is the most scientific, but both cultivated a good amount of respect for the species. It was very exciting to see them in person! There was one who had a shell at the front of its burrow. The divemaster nudged the shell away, and the shrimp went and grabbed it and put it back where it belonged. This was repeated several times. Mantis shrimp will do their super awesome high power punch if you stick a lobster tickler in front of them. You can hear them hit from a few feet away. 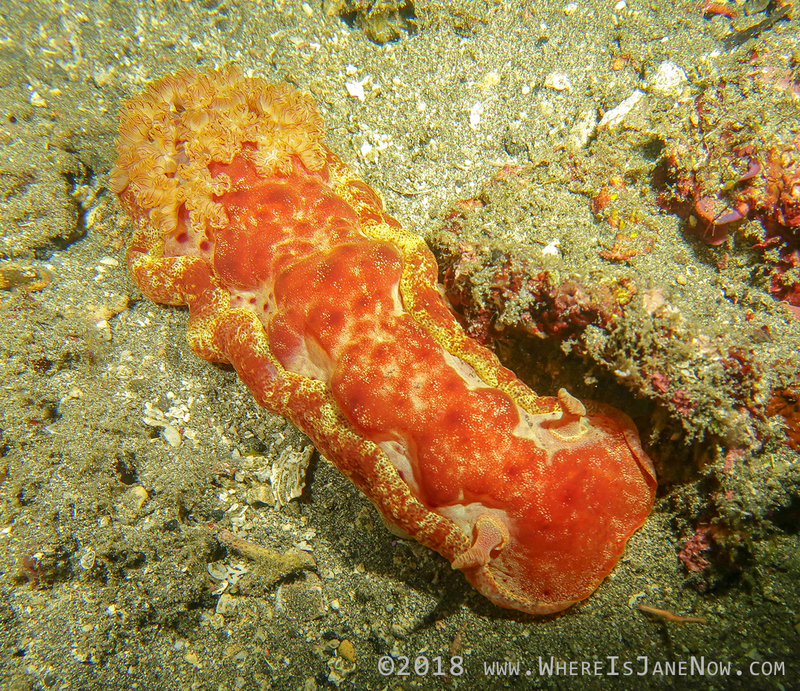 I was extremely excited to find a burrow from a truly enormous shrimp all by myself on a night dive. The hole was large, almost 10 cm in diameter, and the resident shrimp was the biggest I’d ever seen. It was a blue one, not a rainbow one, but we saw the peacock mantis shrimps too. I hadn’t experienced any strong currents until this trip. 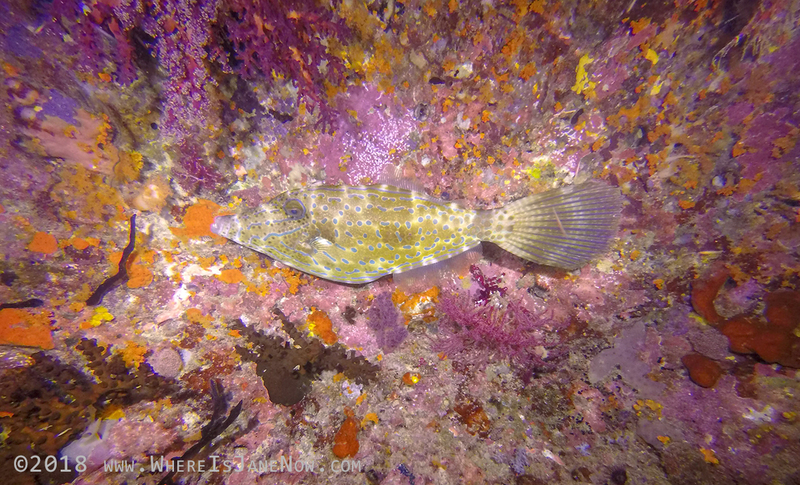 There were a few times on a few of the sites where the current was definitely a factor in our diving. One site in particular, the current was moving so fast it felt like flying (wheeeeee!!!) 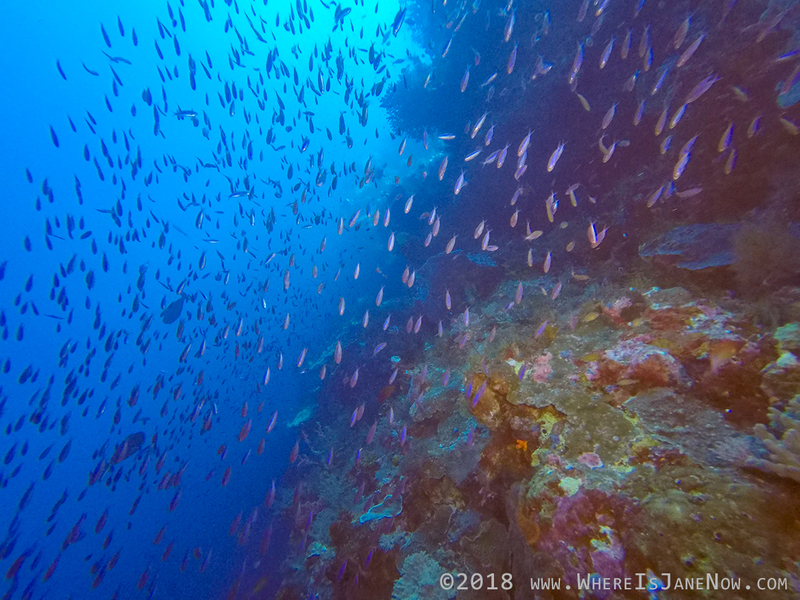 There was also a spot on that dive where the current ran into a wall, and our bubbles were going up, down, all around and we were floating in a sea of bubbles. Learned how to use a reef hook and a safety sausage this trip both very helpful in waters that aren’t still. It was great diving from Zodiac boats, as they could come and pick us up no matter where we ended up! It was often cloudy, but on the clear nights it was lovely to go on the top deck of the boat to check out the sky. Couldn’t take photos because of the waves, but the memories will stay with me. Manta rays. Sharks. Dolphins. Whales. It’s always a special thing to see a manta ray up close and personal… they are so big and so graceful! I was able to take video of a manta this trip, which made me really happy! 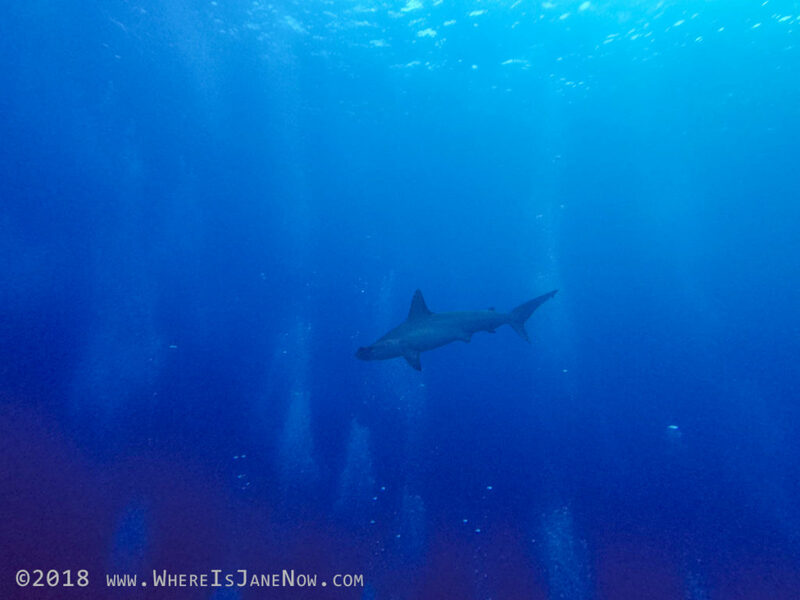 We were really lucky to see a hammerhead shark, which came swimming right towards me. We didn’t see the whales while diving, but it was cool to hang out on deck and watch them. 13. The joy of seeing all the pretty colors when I turn on my lights! Sleeping fish make easy targets! So many colors! The fish, the corals, the water, everything was so beautiful! It was especially delightful to shine my dive lights on something that looked drab and to see the reds and oranges that the depth took away. I highly recommend always diving with a light, even during the day, so you can appreciate the colors of everything around you! Above water, the sunsets, the water, the clouds, the sky… all gorgeous! From what I read this was a dive to remember. I am Indonesia right now and I was looking for places to go diving and this is exactly what I wanted. Thanks for writing this article.